Refreshing Design in a Sea of Orange. Green Stripe, an international importer/exporter of fresh produce, came to CrossRoads Studios with a unique proposition: develop and design the identity and in-store support system for the introduction of Spanish clementines to select test markets throughout the U.S. and Europe. 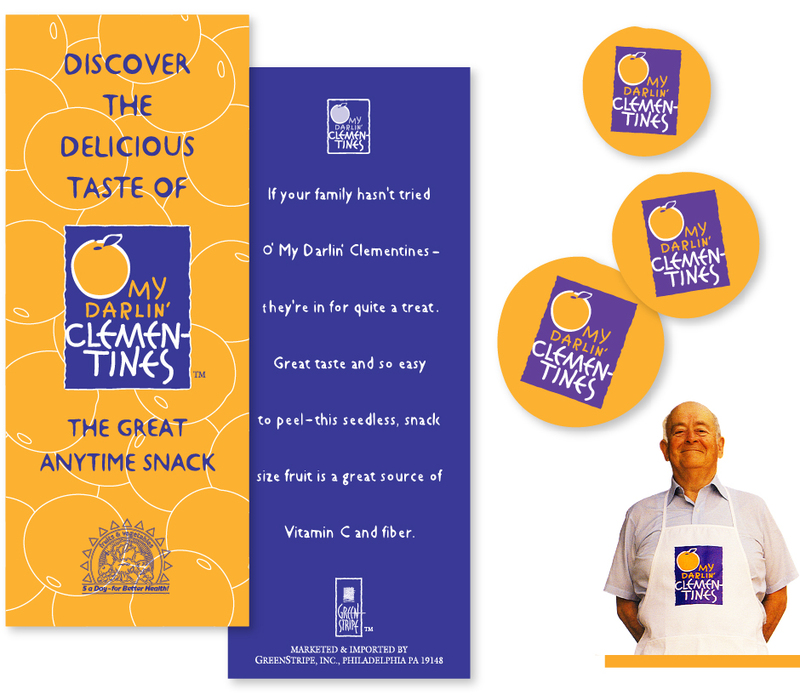 The Strategic Brand Analysis (SBA) quickly identified the need for their clementines to stand out in a sea of “orange” produce. Supermarkets and especially the fresh produce section have changed tremendously over the last thirty years. Customers are seeking more fresh and healthy options which has resulted in a larger and more evolved fresh produce section. Not only are organics and buying local trending, but consumers also embrace more global cuisines which translate to more international and exotic items. Also, in-store samples keep customers in the store longer and offer opportunities to gain buy-in. The logo was designed with strong, bold colors. 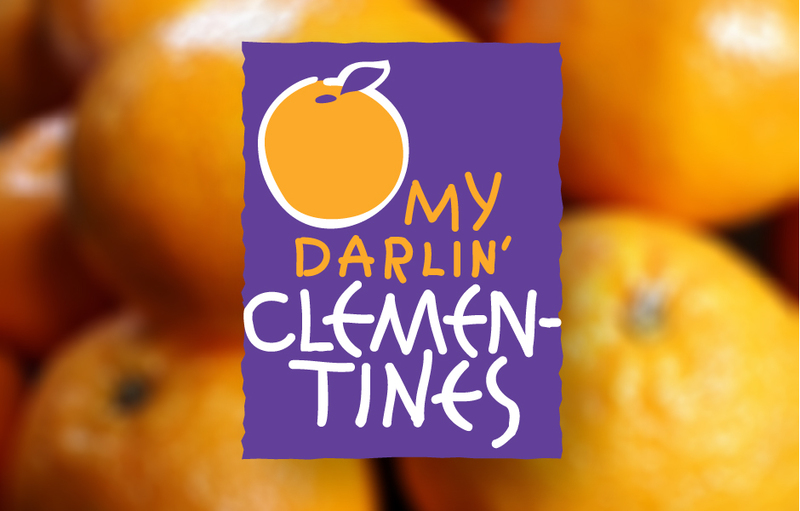 CrossRoads Studios’ memorable brand name, “O’ My Darlin’ Clementines” linked to a well-known folk ballad. Trade response was very positive and, most important, consumers love ‘em.